Best Pet Boutique - when you feature locally made goods like Gwen Gear, Wildebeest, FYDO, EcoPawz, and of course your own homemade goods, we would say best consciously minded boutique is a win! Best Doggie Birthday Present - we have you covered! With glamorous collars and bow ties (locally made of course) a variety of healthy birthday treats like PupPies, long lasting toys, and our own home made goods, we know how to celebrate birthdays at Jeffrey's! Best Locally Made Dog Stuff - this is a category close to our heart. 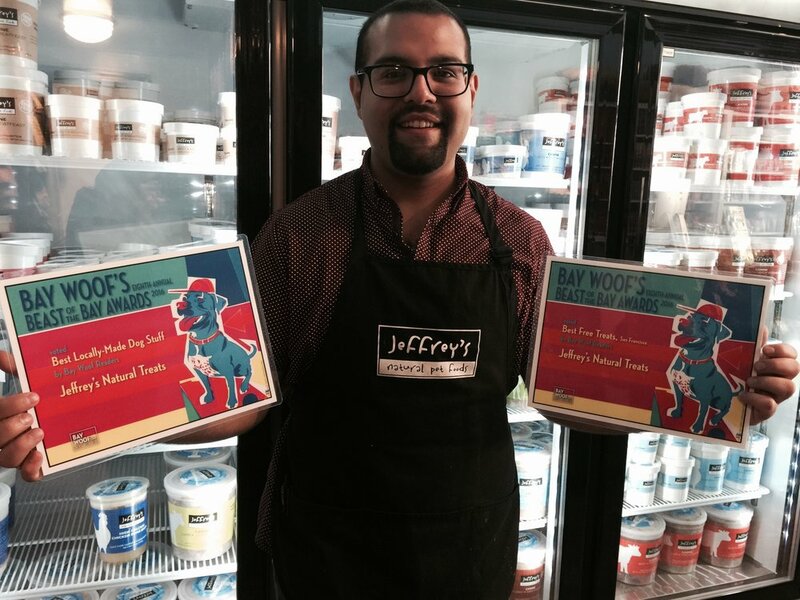 Jeffrey's started over 15 years ago with one goal, to make the absolute best dog and cat food and treats available anywhere. This goal has never changed!